Add the onions, garlic and ginger and stir fry for 2 mins until soft. Add the curry paste and beef. Slowly add the coconut milk and yogurt, simmer until beef is browned and the sauce is thickened (approx. 20 minutes). Meanwhile cook the peppers in another wok with olive oil until lightly cooked. 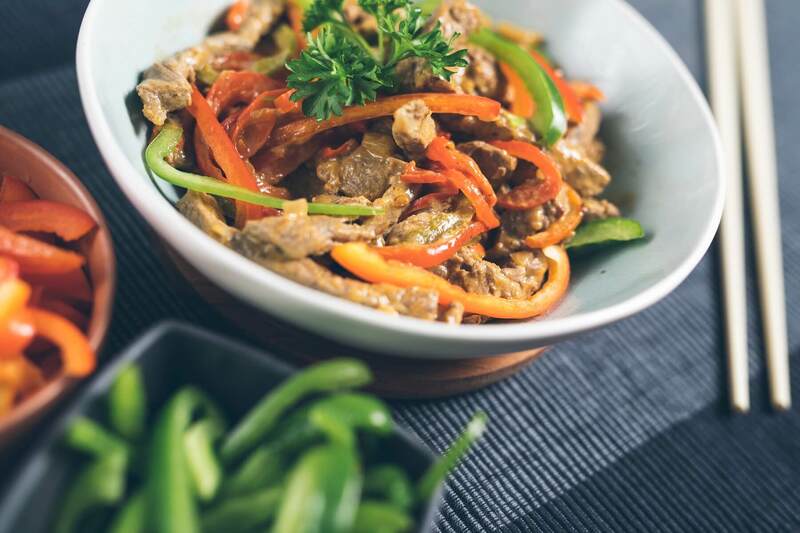 Serve beef curry on a bed of wok-fried peppers.